We all know the saying: "Good things come in small packages." Applying this statement to the housing market might seem like an odd fit, because many people seek homes that are large enough to accommodate their growing families. However, there is one way that this saying can relate to homes: small bathrooms. 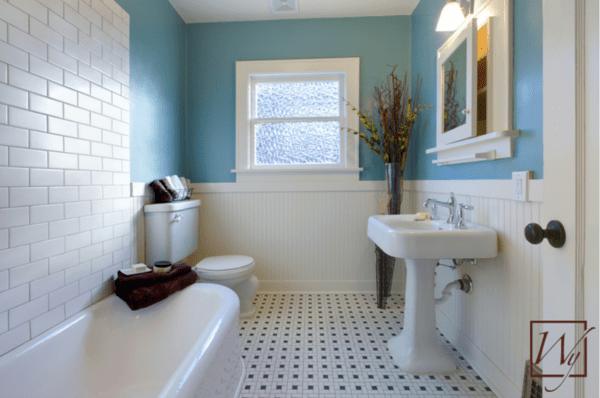 If a small bathroom is part of your home, an affordable renovation can make a big difference in its style and comfort. A new vanity and a modern towel warmer are surefire ways to add an upscale feel to your bathroom; however, homeowners can also add a hidden gem to complete the feeling of luxury in the room. Heated floors from WarmlyYours offer an affordable way to create a "good," comforting atmosphere in a "small package." For instance, a bathroom that is approximately 77 square feet in size only requires one floor-heating roll that costs less than $500. Nearly half of this bathroom (see floor plan) is taken up by permanent fixtures, including a single vanity, bathtub and toilet. Therefore, a 1.5- by 24-foot TempZone™ Flex Roll is all that's needed to heat the remaining 36 square feet of tile, stone or hardwood flooring. To break it out, the exact cost of the floor-heating roll is $432 or $12 per square foot. Add a SmartStat™ thermostat, and that brings your total up to $601. That's likely less than you would spend to replace a vanity! The cost to operate the system is also unbelievably low. According to WarmlyYours' operating costs calculator, if you were to heat this 36-square-foot space for 8.5 hours (which is the default setting on the thermostat) every day, it would only cost you 19 cents a day to heat your bathroom floors. Just imagine feeling the warmth of heated floors day after day for such an affordable price. Do you have a small bathroom in your home that needs a bit of sprucing up? Find out how much it would cost to heat your space by filling out our Instant Quote tool online. Or, send us a floor plan and we'll send you back a customized installation plan so that you can see firsthand how the floor-heating mat should be installed, which product you will need, and how much it will cost. WarmlyYours is also unique in that we offer 24/7 technical support so that you have the help you need throughout your project. Just give our team a call at 800-875-5285 if you need any assistance. With WarmlyYours in-floor heating, the saying "good things come in small packages" can apply to your bathroom.